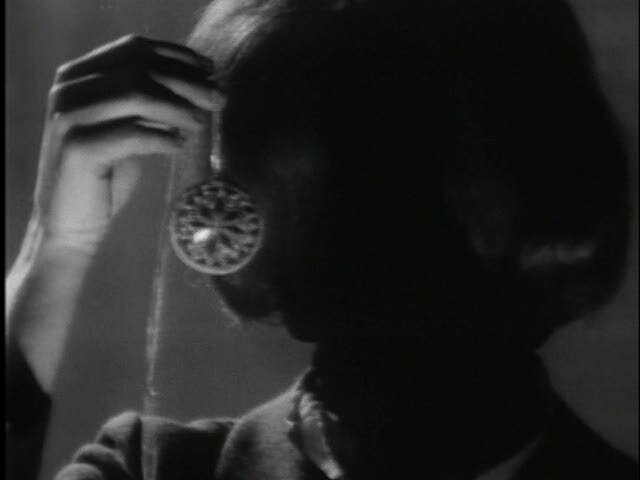 Last night, a friend and fellow Shadowsologist was talking about a particularly scary episode from her memory featuring the image of Julia attempting to hypnotize someone… while having her hair pulled down in front of her face, a bit like a cross between Charlie X‘s mouthless victim and Cousin It! I found the episode! Episode 325, aired originally on 9/22/67. It now peacefully resides as the fifth episode on the fourth disc on the third DVD collection of the series. Just appeared before me! Hmmmm …. “Julia” never looked better! yeah It creeped me out!! but in a good way – like when giggly girls get together and “remember when Julia had no face?” and squeal with excitement during a sleepover. This one time only viewing for me (original airing) was 2 days before my 8th birthday, about a week into starting 3rd Grade..
My thanks! Please don’t be too much of a stranger!